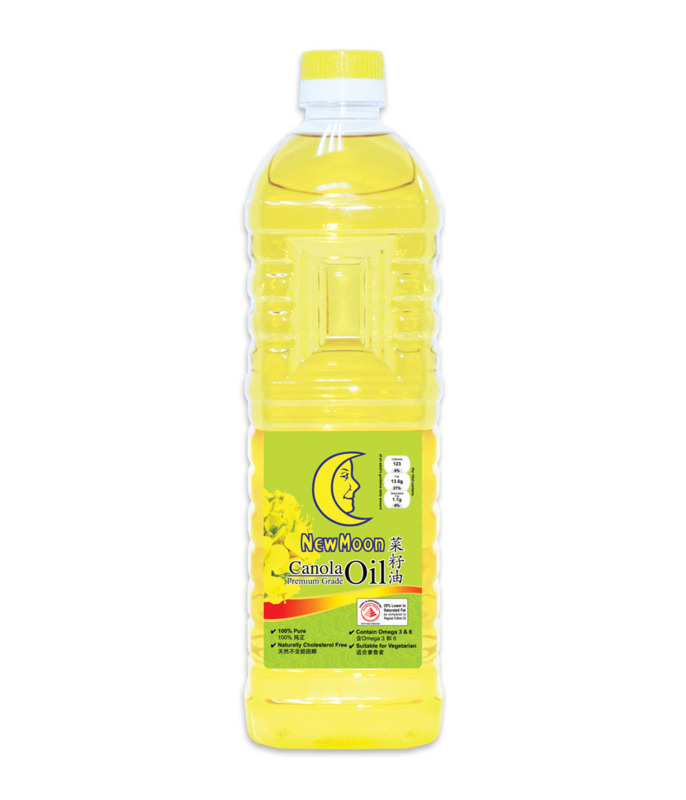 New Moon 100% Pure Canola Oil is a valued vegetable oil expressed from rapeseeds. This light golden yellow colour oil has a combination of monounsaturated and polyunsaturated fats. It also contains Omega-3 and Omega-6 fatty acids, which is a polyunsaturated fat. New Moon 100% Pure Canola Oil outshines other oils with its benefits, great taste, and superior cooking performance, while remaining naturally cholesterol free. An excellent multi-purpose oil for sautéing, frying and baking, or even as an ingredient for salad dressings. Suitable for vegetarians.